In the aftermath of the recent Facebook and Cambridge Analytica scandal, terms like data privacy, website security, and data protection have become more than just buzzwords. Users are increasingly sensitive about security and demanding more. Pleading ignorance of undetected malware on your website, that can infect their systems and hijack their data, is no longer tolerated. As a business, protecting your website not only protects your business data but also builds customer trust. Your website is the virtual office of your business and often your first customer touchpoint. Any hint of poor website security hurts your brand perception and could result in loss of business leads. Prevention is always better than cure. While you may recover with a little effort from a security breach, it would take much, much longer to rebuild trust with your customers. According to Google’s Transparency report, some of the top sites in the world, like Alibaba.com and BBC.co.uk, still fail to deploy default HTTPS to their website. So what can YOU do to protect your website? There are some website security must-haves in order to maintain your website and protect your visitors and yourself from security threats. SSL certificates are an absolute requirement for websites today, whether a small blog or a large scale e-commerce site. The Secure Sockets Layer (SSL) certificate encrypts all sensitive information between a customer and the browser, making sure that the connection is secure. That green lock icon and secure text beside your domain name when someone visits instantly put a visitor at ease. These days, a properly deployed SSL cert also improves your Google search rankings. The value of a strong password cannot be understated. Weak passwords make hacking your site very easy, especially when using open source CMS like WordPress. Therefore, it is important to ensure administrative passwords are lengthy, do not resemble an actual word or represent information about you that is easily found online – like your pet’s name for instance. Use a strong password generator. In an ideal scenario, your website should only accept strong passwords, and make you change your password every 90 days. While painful to remember and continuously update, you’ll sleep easier at night knowing your site is secure. Friendly spider bots from Google crawl your website to collect information to index your site efficiently. However, malicious bots may scrape critical information from your website that can be sold and used with nefarious intent. Distributed denial-of-service (DDOS) attacks, whereby multiple systems target a single network, causing it to overload and crash can also be perpetrated by bots. They also result in a misrepresentation of your traffic analytics by unduly inflating it. Avoid all these concerns with security tools that can provide protection from malware and bots, automatically blocking known troublemakers. It’s easy to hit the “skip” button whenever a software update reminder pops up. However, updates are important to patch security holes in the system. Owners whose websites are powered by open source platforms such as WordPress, Drupal & Magento need to be vigilant, as hackers can easily take advantage of sites that are not updated. Now that you’re convinced by the necessity of website security and steps you can take, here is a list of website security services to help you sleep better at night. Spam Blocker: Incapsula has a database of spam profiles that allows it to clean annoying emails even under its free plan. This no-charge plan even includes reputation-based security, which profiles the email’s sender before filtering the messages arriving in an inbox. IP Blacklisting: This feature is effective if you find a high amount of undesirable traffic originating from specific geographic locations. Available as a WordPress Plugin: Almost 30% of websites today are powered by WordPress. Even we use WordPress and offer it to our clients as part of our website protection plans for it. Sucuri’s WordPress plugin includes Security Activity Auditing, File Integrity Monitoring, Remote Malware Scanning, Effective Security Optimization, and more. Efficient Bot Blocker: Users have raved about Sucuri’s active firewall, which rarely fails in detecting blocked IP addresses, recognizable bot activity based on a rich database of patterns, and possible infiltration (where it automatically hands out a fix). Limitless Malware Cleanup: Detected malware on your website? No worries – Sucuri security experts can help with that. A security expert may cost you $250 an hour but with Sucuri, it’s more affordable. 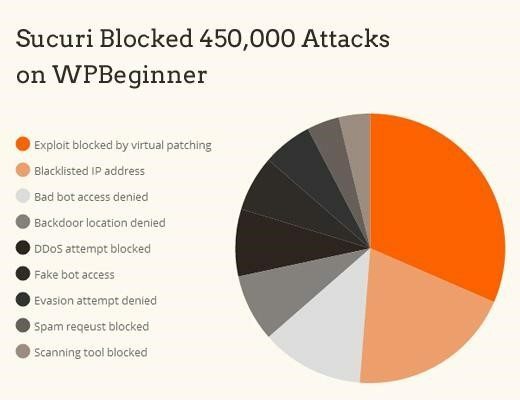 Overall Performance: According to WPBeginner, they blocked about 450,000 WordPress attacks in the first three months they used Sucuri and its WP plugin. That speaks volumes about the efficacy of this service. Free Service with all the Perks: Cloudflare’s free account gives your site excellent CDN service, SSL encryption but without a certificate, website analytics, a website application firewall, access rules (block users, bots, IPs, or email accounts based on profiles you had made), hotlink protection, email address encryption, and more! Talk about a steal! Price: It offers a great basic plan at $0, which is perfect for personal blogs or websites. However, paying $200/month for their business plan gives you added security features such as web application firewall, custom SSL cert, and more. Virtually Compatible With Any Website: Majority of blogs and small business websites in existence use Cloudflare. According to W3techs.com, 71.6% of websites in their survey use Cloudflare for their website security and CDN. Smartbear’s AlertSite website security service makes the list because it has all the features you need at a very affordable price. Easy to Use Interface: Instead of overwhelming users with data, the platform allows users to indicate customizable summaries that they can progressively expand in detail where needed. The interface also shows in high priority any security vulnerability first before other low-priority activities detected on your website. The ability to group monitors together is truly useful for efficient viewing and navigation. Blocking: Mail Server Monitoring, Availability Testing, Uptime Reporting, IP filtering, and others allow the website security service to implement sufficient site security to stop DDoS attacks and potential malware from entering. Price: $99 yearly for pro and $999 a year for a small to medium enterprise. 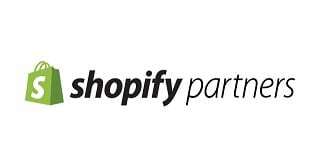 AppDynamics is a great choice for SMEs because, in addition to security, their websites monitor performance in all areas for a better and effective website experience for audiences. Monitoring: All front and back-end activities are unified in a single monitoring display, measured by AppDynamics’ software products APM, Real User Monitoring (RUM), Mobile RUM, Database, and Server monitoring. These features are useful for finding holes in your security and website performance. Business Impact Analytics: This feature displays failed instances of transactions and their probable causes. It works well with its Customer Win-Back Analysis report that updates the entire website journey of the particular user. This is a great way to sniff out some possible bugs in your website. Security Measurement: Real-time monitoring in all areas help identify whether a bot is inflating your metrics. It can also block the origin of these bots’ addresses and blacklist IP addresses. Multiple Websites: For its price, the support for multiple websites is unbeatable. All blocking and monitoring features are applied immediately on all sites owned by an enterprise upon a single click. Price: Free or on a per unit purchase. Each unit costs $3,300 for a one-time payment. Overall Performance: The product may be a little too expensive but proves very useful for integrating security and metric monitoring features for your website. Might not work for all business websites, but its one-time payment per unit use and unlimited support makes AppDynamics a worthwhile investment. Bots, spam emails, and possible downtimes are real security threats to your website. Having a reliable website security and monitoring service is helpful in identifying patterns and tracing the sources of your possible attackers. Data monitoring also helps measure the possible damage caused by an exploitation of vulnerability, which helps you switch to plan B quickly. 2Stallions WordPress Maintenance utilizes multiple services such as Sucuri and Cloudfare to provide a security and maintenance package that lets our clients sleep soundly at night. If you aren’t tech-savvy and don’t want to juggle multiple accounts to manage your website security, we can help! Our Website Maintenance package can offer you peace of mind and technical know-how to easily manage your website security.